Back-to-school time is upon us! Are you prepared? If you find yourself scrambling, we've got all the tips, shopping lists and reminders you could need to make this the best school year ever! If your kids are getting ready to join kindergarten for the first time, they might be feeling a bit nervous (and you might be too)! Here are some tips to help ease the transition into school-life. 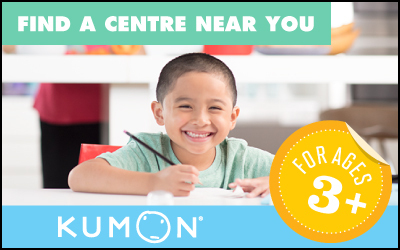 Kumon is a big believer in Early Childhood Education. Rather than get into the nitty gritty of the statistical benefits of early learning, we thought we’d share one of our success stories! Child development expert Joël Monzée explains that a child’s ability to learn independently and control the amount of stress in their environment has a significant impact on brain development. In today's busy, hectic world, it's difficult to get it all done. Time management is hard enough for adults! Let's give our kids a chance to master what precious little time they have with these 7 tips. Tiffany is a prime example of what's possible when early learning and language cross. Even though data supports her growth, there’s no disputing that Tiffany is especially wise for her age. If your children need a little help with their pronunciation (not uncommon! ), then this collection of sound charts and audio files will be helpful! Get your kids on the road to eloquence. Math is one of the subjects kids struggle with most. Kumon instructor Krishnan Venkatraman joined CBC's Jason Turnbull to talk numbers, math and how to get kids moving towards their goals. “When am I ever going to use Math?" The next time you are faced with this question, let your kids know that there are many ways they will use math skills throughout their entire lives!